I've been wanting to experiment with fabric folding for a while. A few days ago, when visiting the sewing aisles of a local craft store, I came across a packet of 5" squares of cotton fabric used for quilting, so I decided to give it a try. Before folding, I stiffened the fabric using the same technique that I use with paper: I laid the fabric squares on top of an acrylic plate, painted it with a Methyl Cellulose solution, and let it dry overnight. 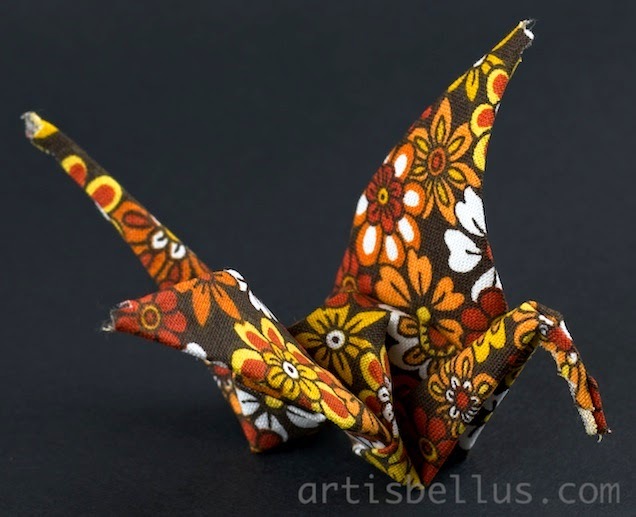 As I usually do when trying any new paper, I folded a traditional crane first. 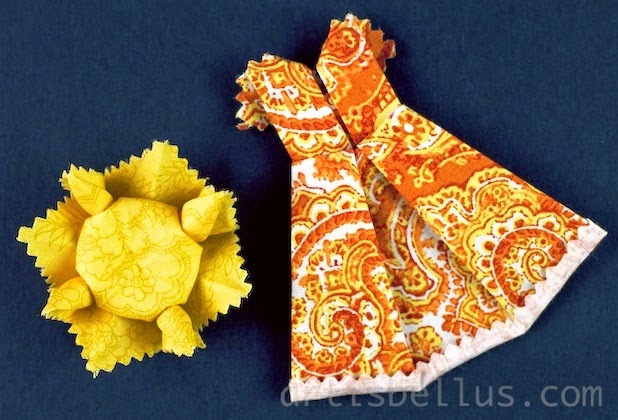 The treated fabric kept the shape very well, so I tried a few more models, that folded very nicely too. The Sunflower is a model created by Nilva Pillan. 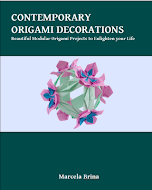 The instructions can be found in the book, Doctor's Origami Dream Book, ISBN 9784255003788, by Toshikazu Kawasaki. The Party Dress is model created by Alison Reisel. 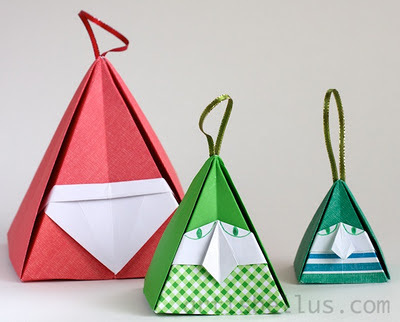 The instructions can be found in the book Minigami: Mini Origami Projects for Cards, Gifts and Decorations .